Operating on the assumption that nothing builds up hot cult buzz for a struggling show like being screwed with by corporate suits, the corporate suits at Fox have started screwing with Mulaney, cutting their order for the show’s first season by three episodes. The show’s fans—even now slapping shipping labels on the hundreds of boxes of sweaters they plan to deluge Fox executives with—will have to content themselves with only 13 episodes of the show’s planned 16. Of course, that 16 was originally a planned six, before Fox expanded its initial order. And that six was originally a planned zero, when NBC passed on the pilot. So really, the number of episodes in Mulaney’s first season may be fundamentally unknowable, as shifting and inconstant as the desert sands. Although, given the show’s ratings so far, less is probably a better bet than more. 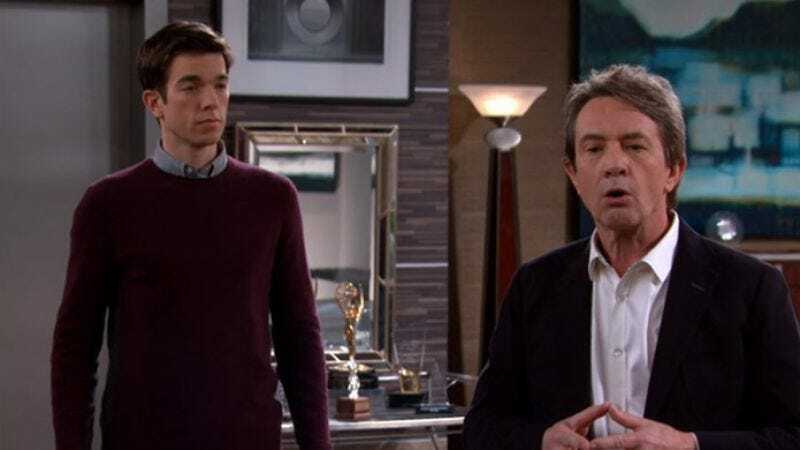 There’s no word yet on whether Fox will follow its savvy promotional campaign by dumping Mulaney on Friday nights, then preempting it for baseball. That’s the sort of marketing power play that’s guaranteed to get fans to unite in angry Internet mobs and gives themselves a plucky nickname (we suggest The Turtlenecks) just in time to drive sales of the first season DVDs.